Melon salad-just keep the summer a little longer! I love cooking since a few years. After I got my new cam yesterday I decided that the quality of my pictures is sufficient to finally start a blog about my dishes. Are you as sad as I am when the seasons change from summer to fall? I still have so many points on my summer-to-do-list!! 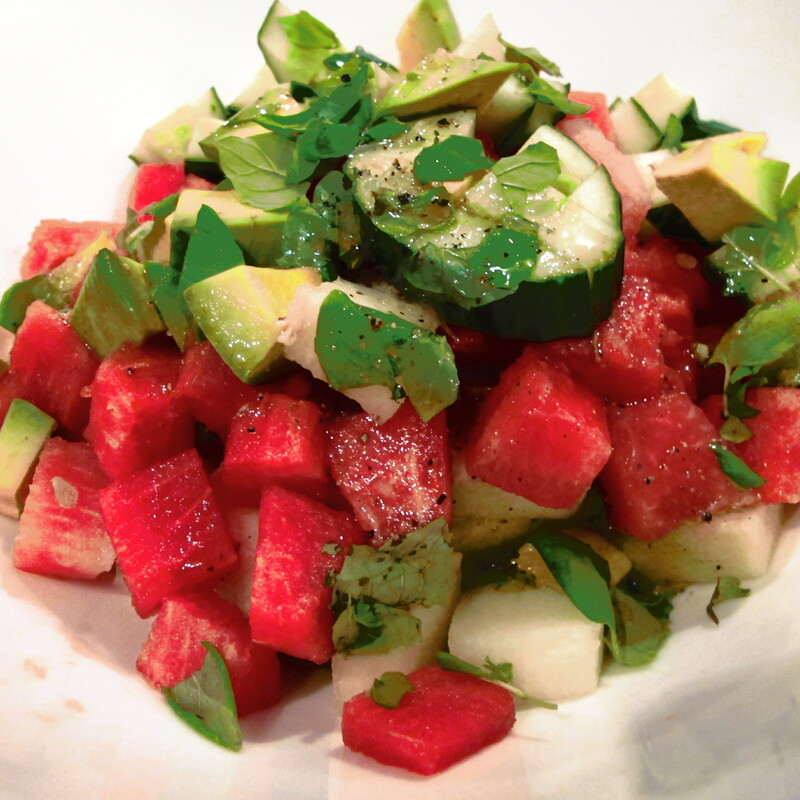 One of them was a refreshing salad I found on chefkoch with melons and mint. Yesterday I decided I have to get started with this before it is too late for watermelons. Dice everything into bite-sized pieces. Pick the mint to rough pieces. Mix the ingredients for the dressing and mix it with the salat right before serving-otherwise the salad gets watery! Enjoy your last piece of summer! !